D# or Eb major chord for guitar in different forms: basic, as barre chord and with a capo. See also D# minor chord. D# and Eb (D sharp and E flat major) are the same chord, but they change theirs name depending on the key they are played in. The primary chords that sound good in a chord progression with D# is: Fm, Gm, G#, A# and Cm. The notes that an D# chord consists of is D#, G, A#. For a Eb chord the notes are written Eb, F, Bb. 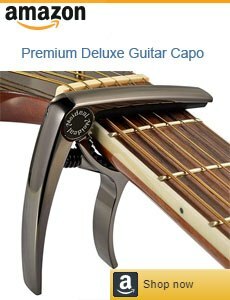 D shape with a capo on 1st fret (see picture). C shape with a capo on 3rd fret (see picture). A shape with a capo on 6th fret.